Worship with us on Christmas Eve! Click here to view the Bulletin Announcements for December 23, 2012. 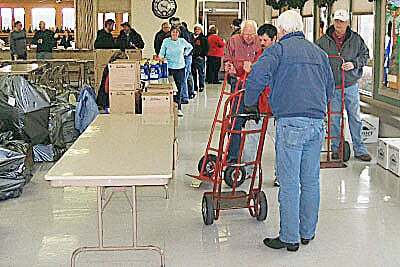 View the article "A merrier Christmas for less fortunate" from the Norfolk Daily News. Click here for a message from Bishop Brian Maas in regards to the tragic events in Newtown, CT, this past week. St. John's will offer three Christmas Eve Worship Services, all candlelight and Holy Communion. Services are at 4 PM, 6 PM, and 8 PM. If you have provided a poinsettia for the sanctuary, please feel free to take your poinsettia home with you after the worship service you attend. Merry Christmas! Everyone is invited to join us in worship this weekend as we spotlight our Majesty Choir during their Christmas Cantata "I Have Seen the Light" under the direction of Dr. Ron Lofgren and accompanied by Steve Reinke. Click here to view the Bulletin Announcements for December 16, 2012. Click here to view the Bulletin Announcements for December 9, 2012. What a great weekend coming up for St. John's and the Norfolk community! At 9:30 am, a Breakfast Fundraiser for the Sullivan family will begin serving egg casserole, bagels, muffins, juice and coffee for a free-will donation. All proceeds will help Keagan Sullivan, who has been hospitalized since birth with lung complications. At 4 PM, the children of St. John's will celebrate the Christmas Season with their Sunday School Christmas Program "His Name is Jesus". Everyone is invited to stay after the program for cookies and fellowship as the church transforms into the streets of Bethlehem for "A Night in Bethlehem", a living nativity. The marketplace of Bethlehem will be indoors in our Fellowship Hall and the stable outdoors on our front lawn. We look forward to having you all join us this weekend as we gather to celebrate Christ among us! Click here to view the Bulletin Announcements for 12.02.2012. #GivingTuesday is today and aims to show that holiday shopping can be about both giving and giving back. People everywhere including retailers, charities, online organizations, community centers, individuals, families and more are coming together with one common purpose… to help others and incentivize ways to give more, give smarter, and celebrate the great American spirit of contribution. Please join us on Wednesday, November 21, for Thanksgiving Worship. Service begins at 7 PM. Hanging of the Greens -- looking for volunteers to help! Watch for a date and time. Be sure to attend the Special Congregational Meeting scheduled for Sunday, November 11, at 9:45 am in the Fellowship Hall of St. John's. We will gather at that time to vote for proposed changes to the constitution by-laws. Plan to attend this very important meeting. This class is for those wanting to know more about St. John's and prospective membership. Join us for the final class on Sunday, November 11, at 7 PM in the library. Click here to view Pastor Ed's Letter to the Congregation for November 4, 2012. St. John's has a new monthly newsletter for children & youth called Youth Connect. Click here to check out the October 2012 Youth Connect. Sunday, November 4, is All Saints Day -- a day when the church remembers all those who have been called to their heavenly home in the past year. We invite you to join us at any of our services November 3 - 4 as we rejoice in all the saints: those who have died and now rest in Christ, those who live now, and those yet to come. Click here to view Pastor Ed's Letter to the Congregation for October 21, 2012. A benefit is being organized for Friday, October 26, to help defray the cost of medical bills for Julie Phillips who suffered an aneurysm in August. Plans include a free-will offering spaghetti dinner, silent auction, bake sale and a raffle. The event begins at 6 PM in the Norfolk Veteran's Home recreation room. 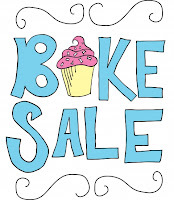 Pam Carlson, Julie's mother, is seeking help in two areas: folks to help with the bake sale and additional Thrivent members to participate to qualify for matching funds. 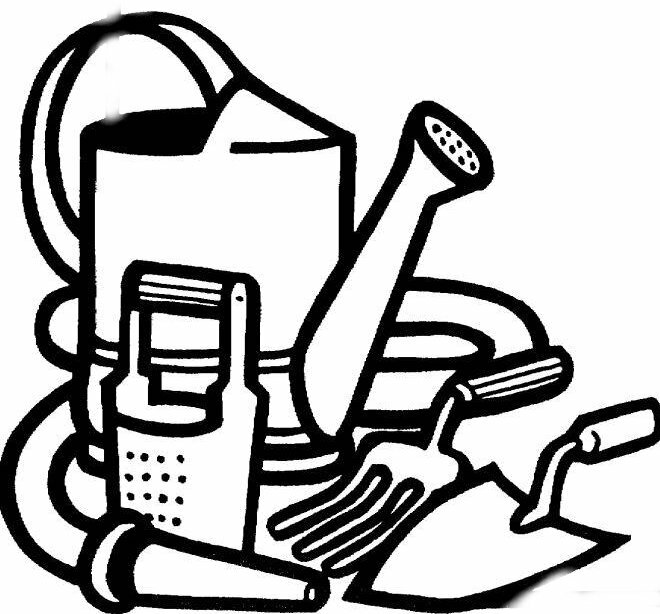 If you can help in any of these ways, please contact Pam at Daycos, Inc., 800-366-1440, ext. 116. Click here to view Pastor Ed's Pastoral Letter for October 7, 2012. Click here to view the Bulletin Announcements for October 7, 2012. 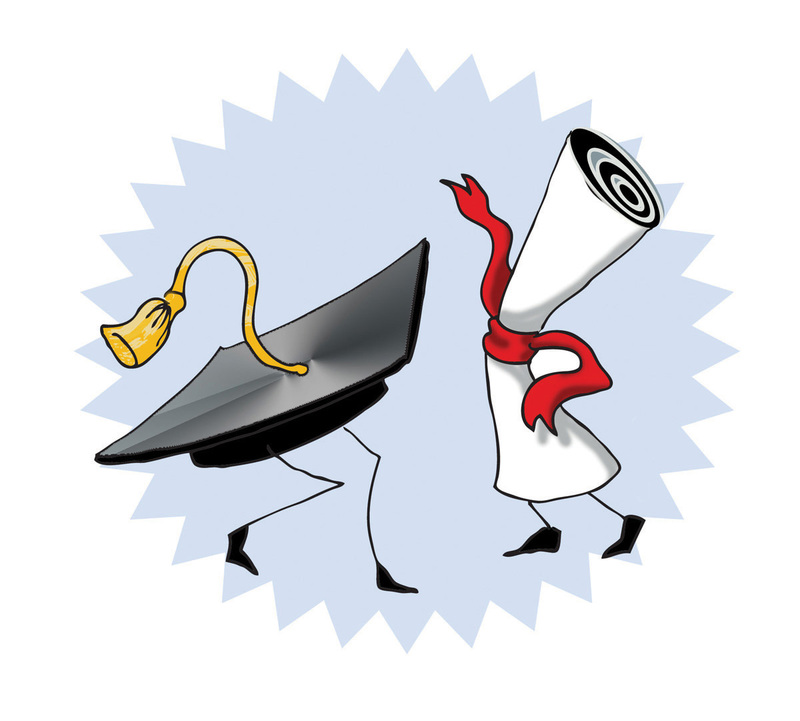 St. John's will have a Congregational Forum on Sunday, October 7, between services (9:45am). The forum is for questions pertaining to the recommendations of proposed changes to the Benefaction Board bylaws. Click here to view Pastor Edgar's Letter to the Congregation for September 30, 2012. Click here to view the Bulletin Announcements for September 30, 2012. What a wonderful Sunday afternoon here at St. John's! The 2nd Annual Folks & Forks was a huge success with great entertainment from UNL's Bathtub Dogs. After the concert, everyone moved to the Fellowship Hall for pie and ice cream via a walk through the many baskets for silent auction. At this time, food, baskets and concert have raised over $5,700 with donations still being received. Check out all of our Rally Day pictures on our facebook page! Click here to view the Bulletin Announcements for Labor Day Weekend, September 1-2, 2012. Do It All in Jesus' Name! Stephen Ministers bring distinctively Christian care to those in need. They use both words and deeds to express Christ's care for others--listening and comforting, calling on the training they have received and employing the tools of faith. If this job description fits your personal goals for ministry, consider becoming a Stephen Minister. A training class is starting soon. For more information, contact Pastor Schambach or Betty, 402-371-1985, or Karen Widhalm, 402-694-9031. September is St. John's opportunity to serve the Norfolk community at the Food Pantry. There are approximately 275 families in our surrounding area who look to our local pantry for something to eat. St. John's gives support by donating non-perishable food and/or monetary gifts to purchase perishable items. We also give of our time to help sack groceries and work on the computer for 2 hours weekday mornings. Boxes will be available in the church to drop off your donations of food items. Monetary gifts (in an envelope designated "Food Pantry") may be placed in offering or left at the church office. To give of your time, mark the Registration Slip in the back of your worship bulletin. Anyway you choose to support this local mission for September is very much appreciated by many people in the Norfolk community! 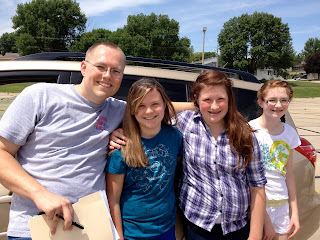 Click here to view Pastor Edgar's letter to the congregation for August 19, 2012. Click here to view the Bulletin Announcements for August 19, 2012. This weekend, Aug. 18-19, Stephen Ministry Leaders Linda Walter, Joette Hardin and Karen Widhalm will be commissioned at all three worship services. If you are interested in becoming a Stephen Minister, please stop by the church office and pick up an application and training schedule. On Monday, August 20, we will be welcoming St. John's new Office Manager, Gail Volquardsen. Please be sure to stop by the office when you're in the building and introduce yourself to Gail. She has the task of learning a new job and all of us, too! Nebraska Lutheran Campus Ministry in Norfolk is looking for your help with Sunday Suppers this upcoming fall semester! Here are the dates for which we would love to have congregations, small groups, families, and/or individuals sign up to provide Sunday Suppers for Northeast Community College & UNMC College of Nursing Northern Division students. Click here to view Pastor Edgar's Letter to the Congregation for August 5, 2012. 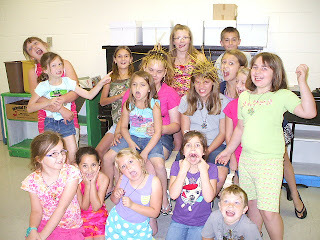 Vacation Bible School began Sunday night, and continues through Thursday evening. See what you missed out on Sunday night! There's still room around the lighthouse, so be sure to come and join us Monday night at 6:30 p.m.!Check out the VBS Photo Album on facebook! Click here to view the announcements for July 15, 2012. Join with St. John's Lutheran Church as we celebrate Tracy Nerem's 25th Anniversary of Youth Ministry and Christian Education. 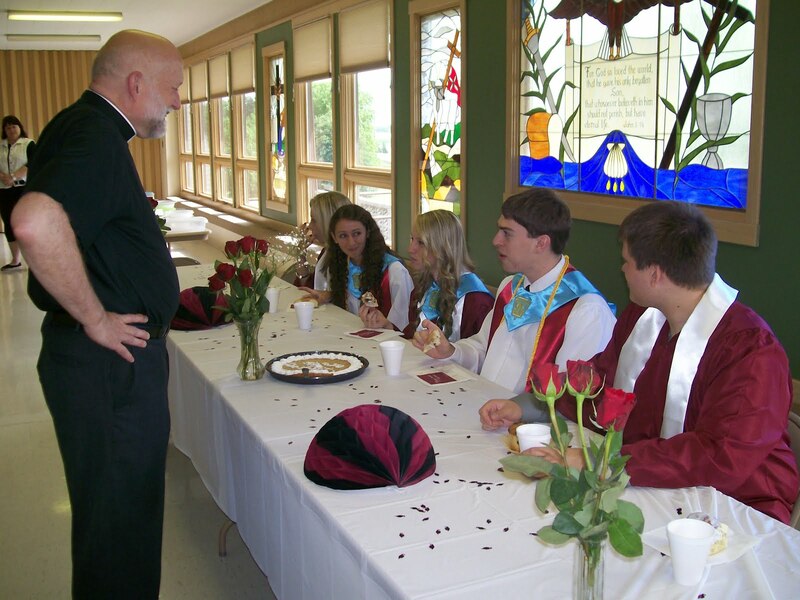 A reception is planned for Sunday, July 29 at 11:30 am in the Fellowship Hall at St. John's. We look forward to seeing you there! 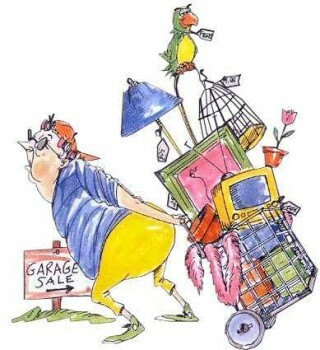 Garage Sale items will be collected at St. John's on Wednesday & Thursday, July 18-19, from 3-7 PM. The sale begins at 9 AM on Friday, July 20! All proceeds will support Bright Horizons of Norfolk. Do you want to get a taste of the ELCA Youth Gathering from the comfort of your Internet streaming device? You can! The ELCA Youth Gathering evening program will be streamed each night, July 18-21, from 7-8:30 p.m. Central Time, as well as worship on Sunday, July 22, 9:30 - 11:30 a.m. Central time. There will also be streaming from the Convention Center during the day, but no particular schedule is set for these video feeds. Celebrate with Betty Schambach as she makes her oblation as a Missionary Benedictine Oblate this Sunday, July 8, at a special Vespers Service at Immaculata Monastery. Oblates are an extended part of the monastic community which includes daily prayer, the practice of virtues such as hospitality and serving others. ROCKY POINT LIGHTHOUSE VBS: WHERE KIDS SHINE GOD'S LIGHT! 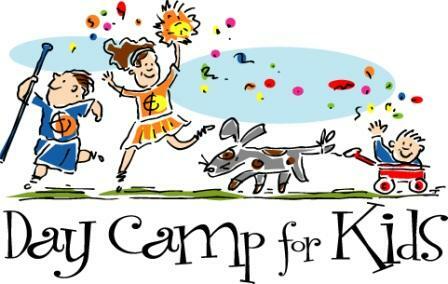 St. John’s, July 29th-Aug. 1st 6:30-8:30 p.m.
Click here to view the Bulletin Announcements for June 3, 2012. There will be no Pastoral Letter this week while Pastor Ed is away at Synod Assembly. Our prayers are with the Assembly, Pastors Ed and Justin, Betty, and our congregational delegates: Dave & Linda Walter and Danny & Lori Olson. Click here to view the week's announcements for May 27,. 2012. 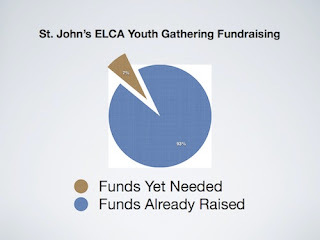 ELCA Youth Gathering BAKE SALE! 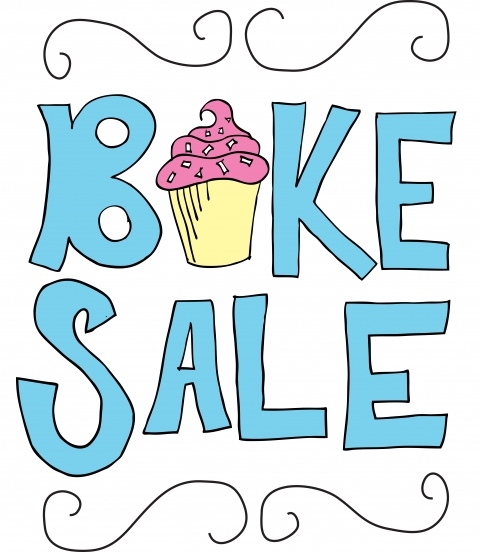 Buy some home-baked goodies and support our youth! Make sure to mark your calendar -- this weekend, May 27, the 11 am worship service arrives earlier for the summer -- 10:15 am until Labor Day Weekend. On Sunday, May 20, our 2012 graduates were recognized during worship and at a celebration during coffee. Congratulations to you all! On Memorial Day weekend, the Sunday Celebration worship service at 11 AM will move to 10:15 AM for the summer months. Be sure to mark your calendar! DO YOU HAVE EXTRA BIBLES AT HOME? If you have Bibles you’re not using because they are worn out (hooray!) or you just have too many for your shelves (hooray!) our DAYCAMP students know just what to do! Click here to view the Bulletin Announcements for May , 2012. Have you ever considered helping out during worship at St. John's by running the sound board, but wondered what it would all involve? Justice Boersma & Pastor Justin Wiese have put together three short instructional videos to show you the basics of how it works. Graduating Seniors of the Class of 2012 are invited to participate in Graduate Recognition Sunday, May 20th, at the 8:30 worship service. Please meet in Fellowship Hall by 8:20 a.m. (wear your gown!) and be prepared to sit with your class during the service. Following worship, a brief reception will be held in Fellowship Hall to honor you. Bring your family and share what you’re planning to do after graduation! Deadline to submit your photo for the graduate PowerPoint slide show is noon, Thursday, May 15th. Please bring your photo to the church office for scanning or e-mail it to midgehe@cableone.net if you would like it to be included in the show. Click here to view Pastor Edgar's Letter to the Congregation forApril 29, 2012. Click here to view the Bulletin Announcements for April 28-29, 2012. Four youth and two adult sponsors from St. John's Lutheran Church in Norfolk will be attending the 2012 ELCA Youth Gathering in New Orleans, Louisiana, July 18-22, 2012. Needing to acquire nearly $6000 for the cost of the entire trip, St. John's Director of Christian Education Tracy Nerem shares that only $450 is left to raise for the remainder of the cost to the six participants. "Fundraising efforts have gone well over the past several months," tells Tracy. "We hope that continued financial support from our prayer partners and members of St. John's will help us achieve our goal." This coming weekend, 15 Faith Leaders and 4 teachers will gather at the Benedictine Peace Center in Yankton for their spring retreat. The spring retreat marks the conclusion of a special journey that began last September. For our Faith Leaders, the spring retreat is a great celebration, but it is also bitter-sweet, because it marks the end of a very special time in their life. One of my purest joys in ministry as pastor is leading Faith Leader. This year's class marks my fourth class at St. John's and my seventh year of leading Faith Leader since introducing this program to the Nebraska Synod. Faith Leader is a unique faith formation program for adults. It invites people to discover their souls and experience God's presence in new ways. One of the nice things about Faith Leader is that it does not matter how much you know or do no know about God or the Bible. Everyone has the opportunity to take that journey inward and dig more deeply into such fundamental, lifelong questions. Questions like...God, who am I in you? God, who are you in me? God, what is it that you seek in my life? What makes Faith Leader such a joy for me is that I witness people change and grow in remarkable ways through the Faith Leader journey. Often the spiritual transformation I witness is profound, but this is no surprise, since this is the way of God in our life. Faith Leaders experience the presence of God in their everyday life in ways they had not experienced before. Their everyday life and their spiritual life merge more fully into one. A deep spiritual hunger for something more when it comes to God and the Church is satisfied. Please remember in prayer our Faith Leaders this weekend. Soon they will share with you their stories. I invite you to speak to our Faith Leaders from this year and the past to learn more about how this journey can be your journey. Hi Sixth, Seventh, and Eighth graders & their families! 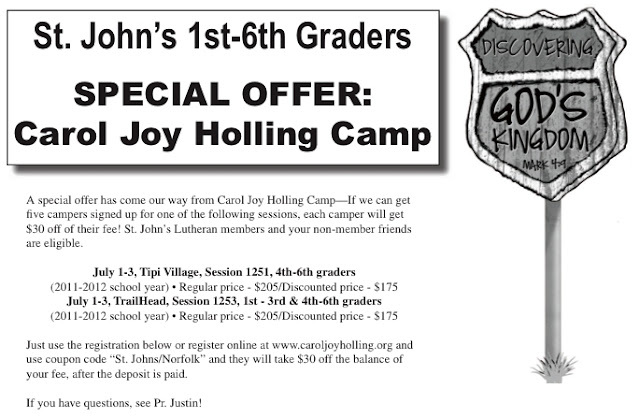 Did you get the letter from Pastor Justin (me) & Tracy in the mail about going to camp June 3-8? One registration has been turned in. Fourteen open spots remain. Who will be next to sign up? 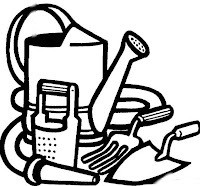 St. John's Garden Club will be gardening at the church each Tuesday and Thursday at 5 PM (weather permitting). Please join us at your schedule permits. Be sure to join us this weekend at all worship services when the St. John's Majesty Choir presents the spring cantata "The Love of Jesus". Worship is on Saturdays at 6 PM and Sundays at 8:30 & 11 AM. Click here to view the Bulletin Announcements for February 26, 2012. Click here to view the Bulletin Announcements for February 19, 2012. 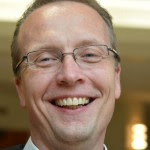 A Special Congregation Meeting has been scheduled for March 4, 2012, at which time St. John's congregation will vote to extend a call to Pastor Justin Wiese. Pastor Justin will be our guest pastor for the weekend, sharing his message with us at all services. The congregational meeting will be preceded by a Potluck Dinner at 12:15 PM. Everyone is invited to bring something to share. Please plan on attending! Lenten services will begin with Ash Wednesday, February 22, with services at 12 Noon and 7 PM. We will be following the lenten series "The Trials of Jesus: Voices of the Prosecution." The first voice heard? Satan -- as Jesus faces the tempter in the wilderness. Dinner will be served in the Fellowship Hall at 5:30 PM. Be sure to join us! It's time to return your Palm Sunday branches to St. John's. We will collect all returned branches in a basket in the west hallway until Sunday, February 19. At that time, the branches will be prepared for Ash Wednesday services on February 22. Worship Services will be at 12 Noon and 7 PM. Join together with other NECC & UNMC students on Sunday evening for FREE FOOD! Each Sunday we gather in the Bethany Room of St. John's for an evening meal and fellowship. All students welcome! This Sunday, Feb. 12 -- Vegetable Beef Soup! Click here to view Pastor Edgar's Letter to the Congregation for February 5, 2012. Click here to view the Bulletin Announcements for February 5, 2012. Join us in worship at all services this weekend when our special guest, Bishop David deFreese, will be sharing his message with us. St. John's Annual Meeting was held last weekend, January 29, 2012, at which time new Church Council and Benefaction Board members were elected. New members to the Council are: Brett Simonsen, Kayla Mertz, and Linda Downs. David Merritt will return for a second term and serve as Council President. Carol Waggoner was elected to serve on the Benefaction Board. Are you on a personal spiritual journey? Because of an increasing desire among leaders for spiritual formation and retreats, the Nebraska Synod offers Spiritual Direction Formation through Seeking the Spirit Within. Consider exploring your call to such ministry and learn how you might enter the program of certification and what is required. When: Wed., April 11 (5 PM) and Thurs., April 12 (3 PM). Where: Swanson Center, Carol Joy Holling, Ashland, NE. Who is this for: Adults 35 and up who feel a call to serve the church. Cost: $85 double occupancy. Registration deadline is March 28. Keep up with the students at NECC and UNMC! Join us! Sunday Supper at St. John's is at 5:30 PM. Food and fellowship - share a meal with other students. This week: chili and cinnamon rolls! Monday meetings on campus at 8 PM. Weekly club meeting with student -led worship and Bible study. Closer to God -- closer to each other! This Monday we dig into unit 3 of "Seeing Through the Scriptures." Faith Talk, Thursdays on campus from 11:30 am - 1:30 pm. Come and go as your schedule allows. Faith and values in the context of current events. A time change was approved at the first meeting of the Dave Ramsey Financial Peace University. 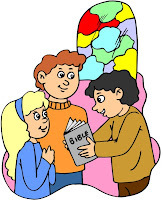 Classes will now meet at 6 PM on Sunday evenings at St. John's Lutheran Church. It's still not too late to join us! Click here to view the Bulletin Announcements for January 22, 2012. 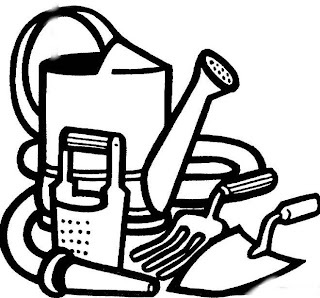 Click here to read Pastor Edgar's Letter to the Congregation for January 22, 2012. The Annual Meeting is scheduled for Sunday, January 29, at 1 PM. Join us for a potluck lunch immediately following the 11 AM service. Everyone is asked to bring an entree along with a salad or vegetable to share. Drinks and table service will be provided. This coming weekend on Sunday, January 22, the congregation will gather for the Financial Forum between services at 9:45 AM. 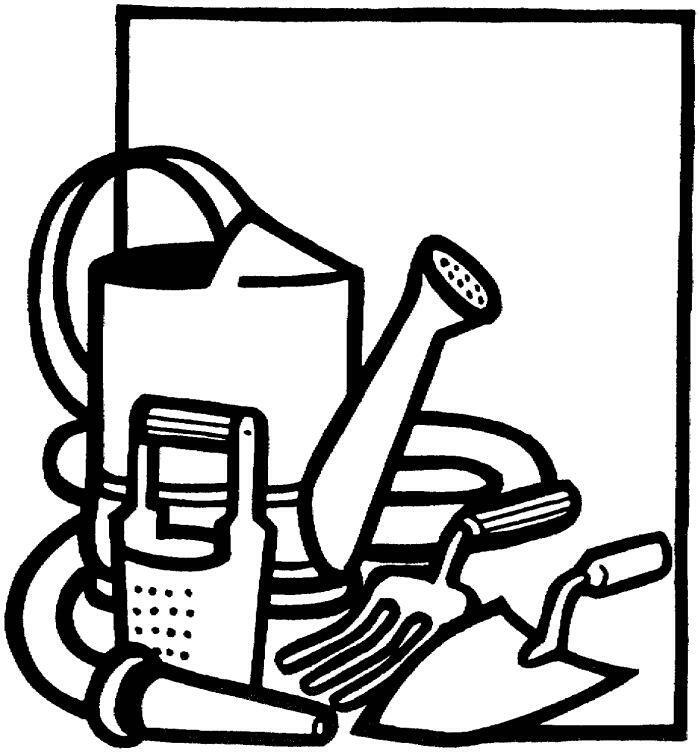 Click here to read Pastor Ed's Letter to the Congregation for January 15, 2012. Click here to view the Bulletin Announcements for January 15, 2012. Classes for the Dave Ramsey Financial Peace University begin this Sunday, January 15 at 6:30 PM. If you would like to join us for the first session, it's FREE! You can still sign up for the class after the first class concludes. See you there! Click here to view the Bulletin Announcements for January 8, 2012. There will be a Special Congregational Meeting on Sunday, January 15, at 9:45 AM to discuss and amend our updated constitution. All members are encouraged to attend this very important meeting.